T-fal Saute Pan Just $33.55! Down From $125! PLUS FREE Shipping! You are here: Home / Great Deals / Amazon Deals / T-fal Saute Pan Just $33.55! Down From $125! PLUS FREE Shipping! Don’t miss your chance! Amazon offers this T-fal 11.5-inch Deep Non-Stick Saute Pan for only $33.55, down from $185.00 PLUS FREE shipping! 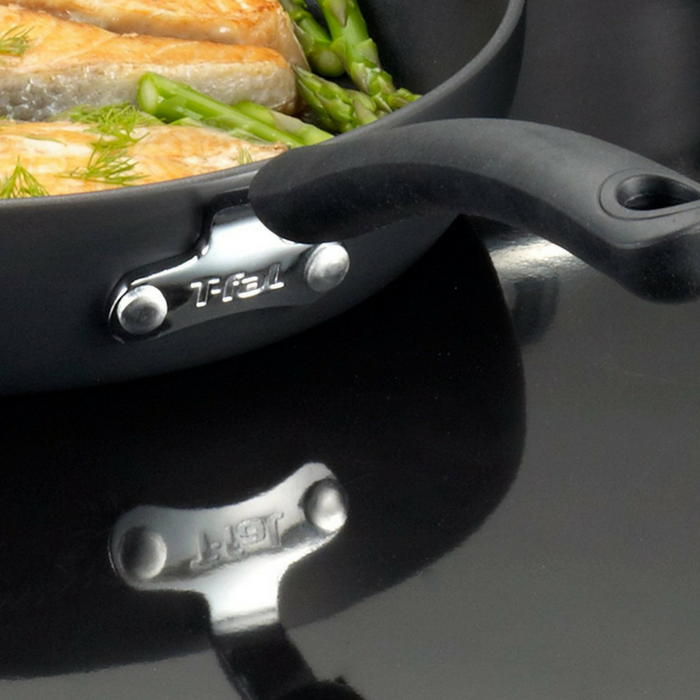 The T-fal Ultimate Hard Anodized 11.5-inch Deep Saute Pan with Lid is a versatile and stylish addition to any kitchen. The unique T-fal Thermo-Spot heat indicator shows when T-fal pan is perfectly preheated to seal in the flavor of your food. The revolutionary exterior coating allows daily dishwasher use while maintaining T-fal Ultimate’s hard anodized satin grey appearance!